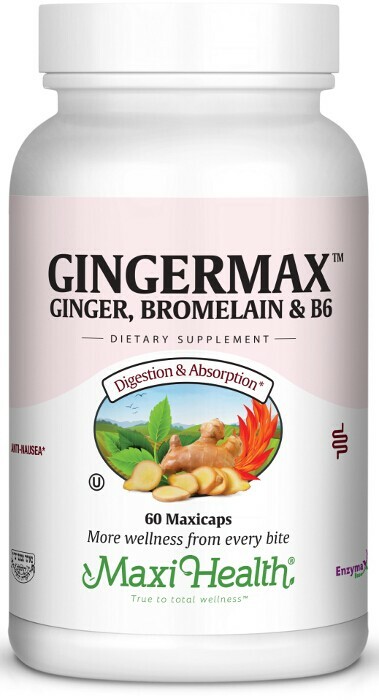 Maxi-Health Research® brings you Gingermax™ with all the health benefits of ginger, bromelain, and vitamin B-6. To use a natural product to feel your very best, try Gingermax™! Take one (1) Maxicap™ three times daily, or as directed.